Saturday, November 25, 2017 - Doors open at 7 PM. First Performances at 8 PM. Second Performances at 9 PM. 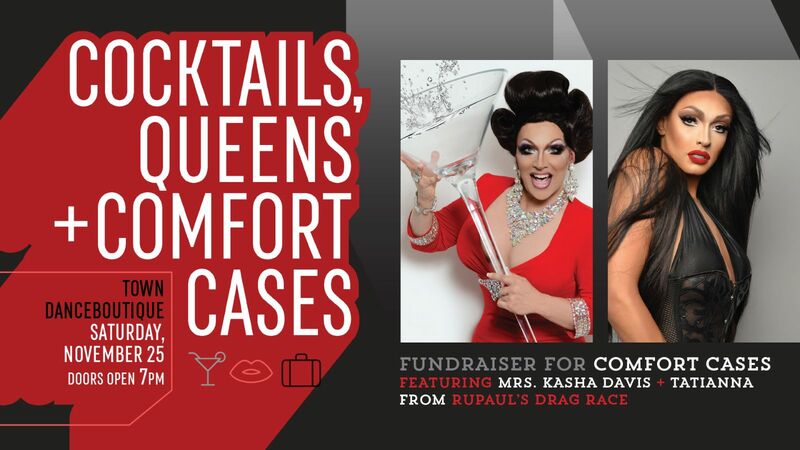 Price includes both fundraising event in support of Comfort Cases and Town’s Drag Show at 10:30 PM for those guest who wish to stay. The event is 21 and over. Cash bar. All tickets are general admission. Your ticket guarantees you entry but does not guarantee you a seat - seating is first come first serve.